Hidden Ireland is a collection of magnificent private houses throughout Ireland who offer seasonal accommodation, albeit on a grand scale, to the public. A stay in one of these great houses is quite unlike anything else you will experience in Ireland. 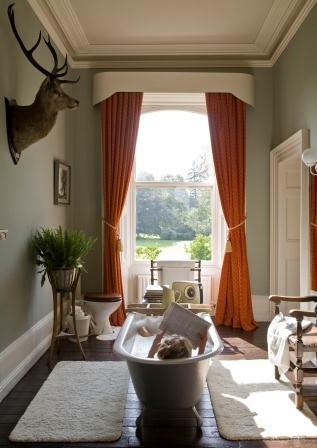 Downton Abbey addicts (like myself) will delight in the country house experience where you are made to feel more like an invited friend than a paying guest? Although still available many of the pursuits traditionally associated with country life, like hunting, fishing and shooting, have naturally translated into organic farming, with fresh fish and game, vegetables and fruit in season often featuring on the evening menu. Dinner (by request) is usually served at a communal dining table (although you can dine alone if you wish) designed to further enhance your appreciation of Irish country house hospitality. Apart from fine wine and conversation, you never know who you will be your fellow guests and what life long friendships might be forged at these impromptu gatherings. Repeat business is a testament to and the lifeblood of these establishments, ensuring a continuity of tenure and responsibility for the second generation of hosts and their children, who are breathing new life into Hidden Ireland. What has been their privilege is now their great pleasure to share with you. For further details, including seasonal special offers and to book online please visit their website below.